PolyCello, based in Amherst, Nova Scotia, believes packages should be made “smarter.” The company’s SmartPack coating technology reduces the number of films required for each package. This volatile organic compound (VOC)-free process can save production time and expenses, along with significantly reducing a package’s environmental impact, the company stated. With SmartPack, a laminated package that once had a recycle symbol of #7, now has #2 or #4 rating. SmartPack has enjoyed near triple-digit growth every year since its introduction in 2007, the spokesperson said. PolyCello’s interest in sustainability has been a long-standing one. The company was the first flexographic printer to gain ISO 14001 certification in the 2004 and the first Canadian flexo printer to gain SGP certification in 2011. 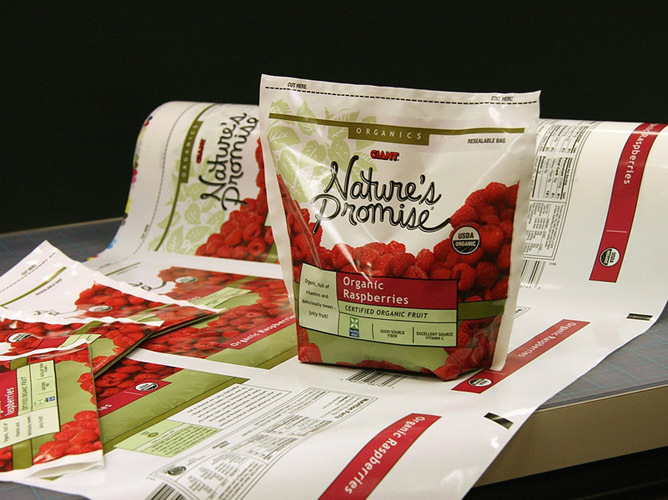 “We see launching biodegradable and compostable packaging options as building on our SmartPack product line and the natural progression to our sustainability efforts,” the spokesperson said. The Vistaflex has a 67″ print width, performs automatic job changeovers, sets-up and stores up to four jobs while the press is running and is capable of speeds up to 800 m/min (2624 ft/min). The Vistaflex press expands the company’s 10-color capacity and capabilities, allowing it to produce wider web widths and cylinder repeats. PolyCello will use the VistaFlex to print packaging for the frozen food, towel and tissue overwrap and pet food markets. PolyCello is third generation family-owned and operated and currently employs 350 people in its Amherst, Nova Scotia and Belleville, Ontario facilities. The company has been named one Canada’s 50 Best Managed Companies for four consecutive years, achieving Gold Standard status in 2011.